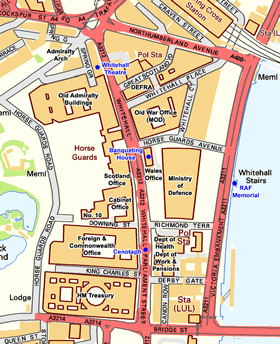 This website provides a thorough introduction to the duties, responsibilities and working practices of Whitehall officials. It also contains detailed information about civil service numbers, pay, pensions etc. as well as a detailed history of civil service reform and a great deal of advice for new recruits. Other sections focus on specific subjects such as policy making, Special Advisers and Ministerial Directions. Those interested in other aspects of government might like to investigate sister websites which will help you Understand Policy Making and Understand Regulation. This part of the website provides essential factual information about the UK Civil Service accessed through the links below. Whilst reading these web pages, please bear in mind that the UK Civil Service is much more narrowly defined than in most other countries. Only 1.3% of all employees (8% of public sector employees) are civil servants. What is a Civil Servant? Can Civil Servants be Dismissed? Civil servants work within a constitutional framework known as the Westminster Model which requires them to be politically impartial whilst being principally accountable only to Ministers within the current government. They also work within a wide range of ethical and other constraints which are taken very seriously by both senior staff and the wider public. This includes an ethical code which requires officials to be honest, impartial, challenging and collaborative. One of their key skills, therefore, is to achieve their objectives whilst observing both the letter and the spirit of their various obligations.This section of the website goes into more detail, and provides practical advice and explanation. Must Officials always Obey Orders? Has it Become More Difficult to Challenge Ministers? This part of the website summarises what every Whitehall official needs to know. Once you have assimilated this material, I recommend that you then read Christopher Jary's Working with Ministers ‌which covers similar ground in more depth. Societies fail if their governments are ineffective, and governments are ineffective if their civil servants are ineffective. The modern civil service is undoubtedly much more efficient than its predecessors, but the quality of policy making, and support for Ministers, is generally reckoned to be patchy. There has been no serious review of the fundamental relationship between Parliament, Ministers and civil servants for over 100 years. These web pages explore these issues in great depth. Further information About this website, and Contact information, is here. There is an extensive on-line reference library here. The Institute for Government website has lots more detail and analysis. My blog is here and a link to my Twitter feed is in the footer below. The third edition of How to be a Civil Servant was published in 2016. 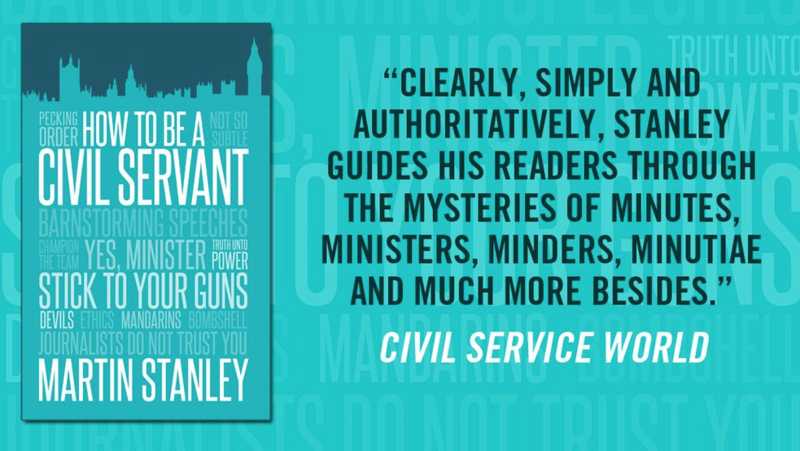 Click on the image on the left and enter the code CIVILSERVANTUK to buy the book for only £9.99 - £3 off the recommended price.